At the height of the Cold War, Captain Jake Grafton becomes entangled in the hunt for a spy selling high-tech military secrets to the Soviet Union. Naval pilot Jake Grafton flies fighter jets with ice water in his veins. But when he’s assigned a desk job in the Pentagon as the head of a top-secret stealth bomber program, his nerve is tested as never before. Colleagues start dying mysteriously, test flights are sabotaged, and the program is threatened at every level. If Grafton can’t infiltrate a web of espionage and counter-espionage centered round the deadly traitor, code-named the Minotaur, he stands to lose much more than just his career. 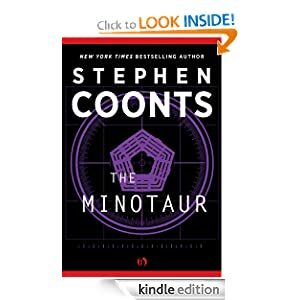 The Minotaur is an exhilarating thriller and fascinating procedural, revealing the complexities of military technology R&D. 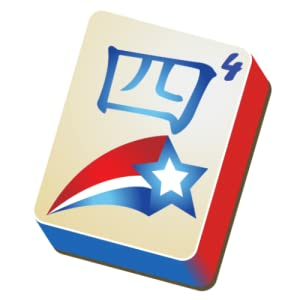 4th of July Mahjong is a logical game which you can obtain today for free. Celebrate the 4th of July with 4th of July Mahjong! With six themed layouts, great patriotic music, beautiful backgrounds and tiles, you’re sure to keep coming back for more fun this Independence Day and all year long. 4th of July Mahjong is a themed version of classic mahjong solitaire. Match identical tiles in pairs to eliminate them from the mahjong board. Choose the right path of matches and you will essentially remove all the tiles from the board. Remove all the tiles and you win. 4th of July Mahjong is designed to help out your mahjong solitaire game. If you click on a tile which cannot be used, the tiles unusable at the time will gray out and you can clearly see which mahjong tiles can be selected at that point in time. Also, one hint per game is allowed for free, and you can get unlimited hints just by kindly sharing us on Facebook with all your friends.